B&B Porto Trani price per day from € 70 Located 500 metres from Trani Cathedral, B&B Porto Trani is just around the corner from Trani Harbour. It offers free Wi-Fi and simply decorated rooms with a fan and TV. The B&B is set in a traditional stone building and is less than a 10-minute walk from Trani Train Station..
Travel and Living price per day from € 70 Located just 250 metres from the Puglia coast and beaches, Travel and Living offers free Wi-Fi throughout. Breakfast is served at a café located just opposite Travel and Living. Trani’s Cathedral is a short stroll from the property..
B&B Torrente Antico price per day from € 50 Set 200 metres from the port in Trani, B&B Torrente Antico provides classic-style rooms with free Wi-Fi. There is communal terrace which offers views over the city and the Adriatic sea. The private bathroom includes a hairdryer and free toiletries. B&B Suite Home Trani price per day from € 80 Modern whitewashed apartments with free Wi-Fi, fully equipped kitchenette and air conditioning feature at B&B Suite Home Trani. 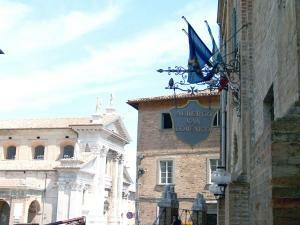 The property is located in the historic centre of Trani. Trani Cathedral is a 5-minute walk away, while the train station can be reached on foot in less than 10 minutes..
Hotel Villa price per day from € 69 Just 400 metres from the Adriatic Sea, Hotel Villa is an elegant modern building surrounded by a large Mediterranean garden. The spa and wellness centre is complete with a hot tub, Turkish bath and relax area. 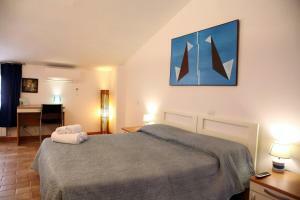 5 km from Bisceglie centre, Hotel Villa is 5 minutes' drive from Trani..
Hotel Royal price per day from € 51 . Mare Resort price per day from € 160 . San Paolo Al Convento price per day from € 120 San Paolo Al Convento is an old monastery renovated into a 4-star hotel. San Paolo's rooms have en suite facilities, air conditioning, colour TV and free wired internet access. A generous buffet breakfast is served daily in the hotel's old chapel. Hotel Riviera price per day from € 50 A short walk from Trani's seafront and the harbour, Hotel Riviera offers rooms with air conditioning, private balcony, free Wi-Fi and LCD TV. Breakfast is a buffet of pastries, cheese, ham and fresh fruit. The SS16 national road, which runs along the Adriatic Coast of Apulia, is within easy reach..
Town of Bisceglie (~8.9 km). 11+ apartments ! Town of Barletta (~11.7 km). 18+ accommodation units ! Town of Andria (~13.4 km). Town of Corato (~14.8 km). 7+ apartments ! Town of Molfetta (~17.9 km). 3+ accommodation units !